PTSD can develop after experiencing or witnessing a life-threatening event such as combat, a natural disaster, a car accident, or sexual assault. PTSD, from a diagnostic standpoint, is typically considered a psychological disorder under anxiety, but new research is challenging this. Understanding how the brain structurally and functionally plays a role in the development and symptoms of PTSD offers much more promise for treatment. PTSD patients often suffer from symptoms including anxiety, depression, and concentration difficulty. Symptoms of PTSD are the result of chemical changes in the brain caused by an increase in autonomic drive. Other symptoms commonly reported by PTSD patients include abnormal laughing and crying, aggression, impulsivity, irritability, fatigue, anger, anxiety, loneliness, nausea, persistent headache, depression, and post-traumatic seizure, and suicide. PTSD is classically viewed as a disorder in which a person has difficulty recovering after experiencing or witnessing a terrifying event. Within the worldview and paradigm of clinical neurology, PTSD is an adaptive response to traumatic events which creates a heightened sensitivity of brain regions involved in producing the natural stress response. This is a great example of negative neuroplasticity, where the brain just got too efficient at detecting stress to the point where, even in harmless situations, a threat or danger is perceived. Any psychological disorder at its core really a neurochemical issue, which is why most traditional treatments are aimed at neurotransmitter levels. We know from research that PTSD is not purely a neurochemical issue, but results in structural alterations as well. This would create a basis for it being considered a primary neurological disorder with psychological characteristics. Unfortunately, the majority of individuals diagnosed with PTSD are sent to psychiatrists to be treated for anxiety, depression, and other emotional signs. This works for a few, but unfortunately, the majority have pervasive symptoms. Understanding how the brain structurally and functionally plays a role in the development and symptoms of PTSD offers much more promise for treatment. 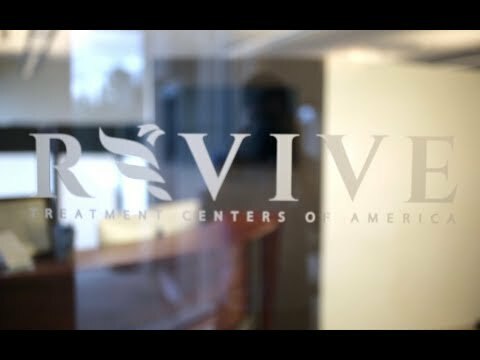 At Revive we specialize in providing treatment to the neurological regions affected by PTSD. Your treatment can include balance, gait, and eye training; as well as hand-eye coordination, repetitive transcranial magnetic stimulation (rTMS), hyperbaric oxygen, diet, and supplements. Beyond the neurological system, there are many factors that can impact the presentation of PTSD: the immune system, diet, sleep, and stress (to list a few). By integrating knowledge of the brain and influence of these factors, we are able to be very specific with targeted therapies which create lasting neurological changes. Your treatment plan is designed specifically for you and is not a protocol. SSEP utilizes a non-invasive electrical current that, when applied directly to certain nerves in the face and body, can stimulate and upregulate areas of the brain affected by traumatic brain injury, stroke, neuropathy, or neurodegenerative disease. Based on each patient’s extensive diagnostic testing, Revive‘s doctors create a treatment plan that targets the exact nerves that will activate the lobes and systems in the brain affected by the patient’s condition. Some cranial nerves that are often stimulated by SSEP are the hypoglossal nerve (Cranial Nerve XII) and the trigeminal nerve (Cranial Nerve V) for neurological conditions. For many of our stroke and TBI patients learning to walk again, we utilize our gait protocol. Our gait protocol stimulates the saphenous nerve and tibial nerve in various places in the leg(s) affected by the stroke, priming the neural pathways with electrical stimulation in order to increase communication to and from the brain, optimizing our patients’ ability to re-develop these damaged neural pathways. AL-TENS is a form of hyperstimulation described by Sjölund and colleagues in the 1970s. It can be used if patients do not respond to conventional TENS (5). IASP defines the characteristics of AL-TENS as “Low-frequency (2–4Hz), higher intensity (to tolerance threshold), longer pulse width (100–400μs)” (4). Low-frequency trains or bursts (2–4Hz) of high-frequency pulses (100–200pps) are often used in clinical practice. The intention of AL-TENS is to stimulate small diameter, high threshold peripheral afferents (A-delta) in order to activate extrasegmental descending pain inhibitory pathways. Non-painful muscle twitches occur during stimulation causing activity in small diameter muscle afferents (Fig 2b). Electrodes are positioned over myotomes, trigger points, and acupuncture points. The term AL-TENS is used loosely in literature making the synthesis of research findings difficult.